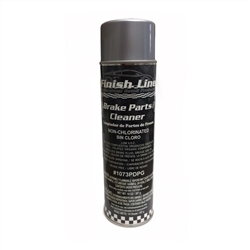 Finish Line Brake Parts Cleaner. dissolves brake fluid, grease, and oil. High pressure spraying, non-chlorinated. 14 oz. Bottle Glass Cleaner Plus Aerosol - Spray and wipe clean. Leaves no film. Use on Windows, Mirrors, Windshields and Other Glass Surfaces Tough durable finish. Interior/exterior use. Quick drying. For use on most type of metal, wood and wicker. Tough durable finish. Interior/exterior use. Quick drying. For use on most type of metal, wood and wicker. This product is specially formulated to gently foam away soil, dirt and stains from velour, cloth, carpet, vinyl and other similar surfaces. Will not soak into fabric - leaves the surface clean and dry. Has inverted sprayhead so you can hold the can upside-down while spraying. This product is specially formulated to gently foam away soil, dirt and stains from velour, cloth, carpet, vinyl and other similar surfaces. Will not soak into fabric - leaves the surface clean and dry. Instant Shine Aerosol Dressing is a great final detail product. Just spray on and buff or let dry to a "like new" shine. Tires, vinyl interiors, bumpers, bumper guards, body moldings, door jambs, engine comparetments - even those hard to reach air conditioner ducts. Instant Shine Aerosol Dressing is a great final detail product. Just spray on and buff or let dry to a "like new" shine. Tires, vinyl interiors, bumpers, bumper guards, body moldings, door jambs, engine comparetments - even those hard to reach air conditioner ducts. Creamsicle scented. A great, easy-to-use detail product to enhance and recondition the appearance of dash boards, vents, moldings, and consoles. Not for use on tires. Quick drying, fresh scent, greaseless, strikes, and VOC compliant. Bio-Enzymatic action penetrates deep into carpet and upholstery fibers, safely removing organic soils and odors from carpets and upholstery. It destroys odors and stains caused by pets, food, dirt, body oils and other soils. Dry foam provides for minimal out-of-service time. This fast acting carpet spotter is enhanced with surfactants and wetting agents that immediately remove most spots, including dirt, coffee, grease, and animal urine. The forceful spray and non-foaming formula quickly penetrates for fast spot removal. Ideal for use as a pre-spotter prior to carpet extraction. Use this product to remove spots from: ink, Cola, grease, wine, oil, shoe polish, coffee, lipstick, pet stains, and much more. This product is an all purpose cleaner/degreaser that will emulsify grease. This formula is effective on many interior and exterior uses. 19 oz. Aerosal Can Provides a protective coating to help prevent rust & corrosion, reduce noise and seal out moisture. Also provides protection against salt. Great for fender replacements, new panels, section repairs, undercarriage, and weld joints. Can also be used as a crack sealer for concrete, asphalt, gutters, flashing and roofs. For the odor elimination of unpleasant smells in your car. They are a perfect product when you want to add a pleasant, long lasting fragrance to your vehicle, boat, RV, etc. Can either be locked into place for a complete expulsion of product or it can be pressed slightly for purging small amounts. Contains Ordenone TM, a bacteria fighting chemical that assists in eliminating foul causing odors. Formulated to not mask, but neutralize odors. The fogging mist is deep reaching and effective on odors caused from mustiness, pet urine, mildew, decay and tobacco smoke. 18 oz. Cleans and restores dry, damaged hands. A concentrated, water-based hand cleaner specifically formulated to promote healthy skin care. Liquifies and removes stubborn industrial soils, grease, oil, tar, ink, paint and more. Environmentally friendly industrial hand cleaner. A comprehensive line of fast drying, VOC compliant, aerosol dyes that restore faded and discolored carpeting, vinyl, plastic and now leather. Sticky Mat Spray can be used on plastic mats for auto detail and service purposes. Will not stain, easy application. A water-based deoderizer that can remove most malodors immediately and effectively. The unique molecular formulation encapsulates foul odors and renders them ineffective on contact. Spray on the area to be treated as it must come in contact with the odor to produce maximum results. Wipe Out Odor Eliminator System is a safe and efficient quick release technology delivery system in an inexpensive easy to use small disposable, portable device. The system vaporizes, decontaminates, disinfects and deodorizes. 120 oz. (3.35L) Cleans and restores dry, damaged hands. Environmentally friendly industrial hand cleaner. A dispenser is required for use. Please call for details.